Dads deserve the best. A good father has sacrificed plenty to make sure you’re happy, fed, clothed, and educated. Dads are on the go-go-go for the first 18 years of his child’s life, which means the time he gets to actually relax is much appreciated. For this Father’s Day, consider gifting your dad upholstery cleaning of his three favorite pieces of furniture because he deserves it. We can take a gander that your dad’s favorite places to relax are his broken-in recliner, the couch, and his bed. How many of you have fathers who love to kick back in a recliner at the end of the day? There may be a chair in your childhood home that is known as “Dad’s Chair,” and nobody sits in it except Dad. There are probably a few chip crumbs or a stain from a spilled beer that could be cleaned. A chair that looks like new is even more relaxing. Similar to the recliner, the couch is a great place for fathers to relax. He may opt to lie on the couch for a quick nap while the children are away, or he may sit on the couch for a good snuggle with your mother. The couch likely has more chip crumbs and stains from spills than the recliner because everyone else in the family is also allowed to sit on the couch. Take one for the team, and give it a good clean this year. If you don’t want to think about your dad doin’ the dirty, then hire the professional upholstery team to clean the dirty from his mattress. Everyone deserves to sleep on a fresh, clean bed, so give your dad this gift. 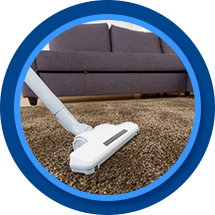 Our upholstery cleaning team in Casper is here for you.